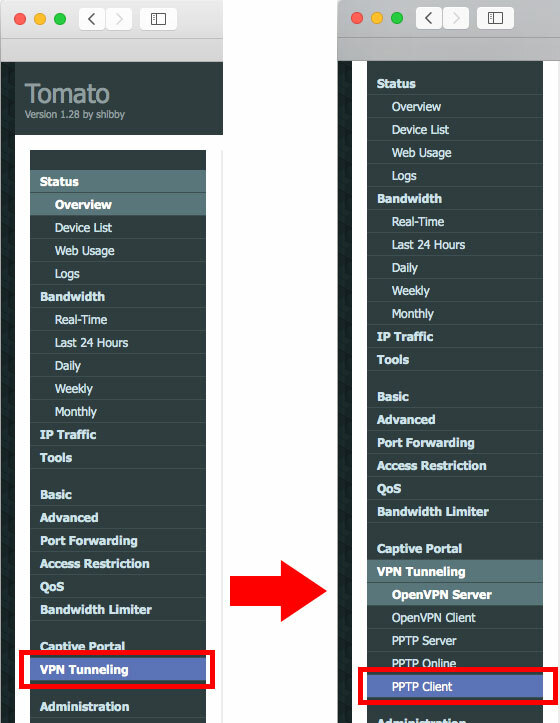 This tutorial will show you how to set up your Tomato router using PPTP. Note: PPTP provides weak security benefits and should only be used for anonymization or for changing locations. 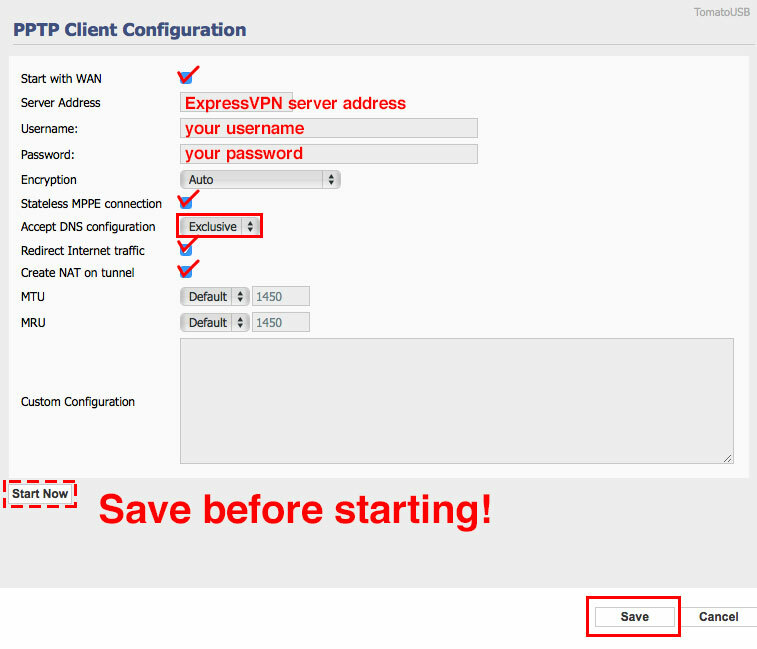 ExpressVPN recommends the OpenVPN setup, which is more secure. In a new browser window, type 192.168.2.1 or 192.168.1.1 in the address bar to access your router’s control panel. 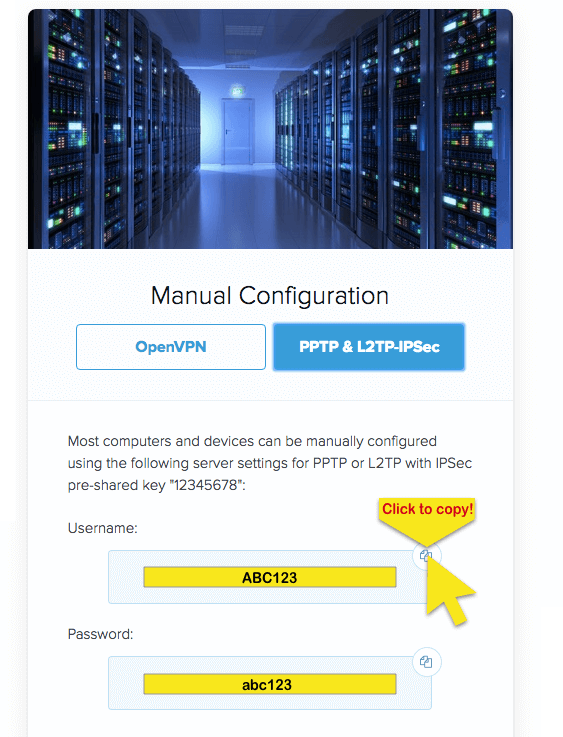 Enter the admin name and password for your router, then click Log In. In the left-hand menu, click on VPN Tunneling. Then click on PPTP Client. Configure your PPTP client as shown below. Make sure you Save your settings before clicking on Start Now. Enter the server address, username, and password obtained earlier. Accept DNS configuration: select Exclusive. Create NAT on tunnel: check. If you want to disconnect your PPTP VPN connection, click on Stop Now in the PPTP Client Configuration window.